swap to a 5.13 rear gear with that 2.48 th400 trans gear and you fall in the 12.73 range killing cruising speed, as well as top speed, which would be around 80mph in top gear. This is pretty extensive. Everyone will learn a lot from it. Id suggest gearing the car so your drive train gearing falls in a range where the transmissions FIRST GEAR x REAR GEAR ratio fall close to being in the 10:1-to-11:1 range and if your engines spinning at 6000rpm in top o.d. gear places the car speed no higher than 135 mph, the closer you can get the gearing to fall in that gearing range the more responsive most cars will be,get the rear gear ratio low enough that the rear gear ratio times first gear is over 11:1 and your first two gears become far less useful without major suspension mods and SLICKS, and truthfully, how many times do you need to exceed 135mph? First off there are two things you need to find the optimal shift point. 3. 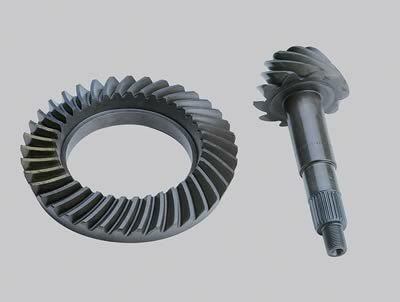 (optional) is the differential gear, the reason this is optional is that the gear never changes which makes it a constant that does not effect where you need to shift. But i will show you why it is fun to have. All the math I give you is pretty simple. It is just that the process is lengthy. Flywheel torque x gear ratio you are in. for example if you are making 150 lbs of torque at the flywheel and have a first gear of 3.549, and second gear of 2.197. 150 x 3.549=532.35 You are making 532.35 lbs in first. 150 x 2.197=329.55 You are making 329.55 lbs in second. 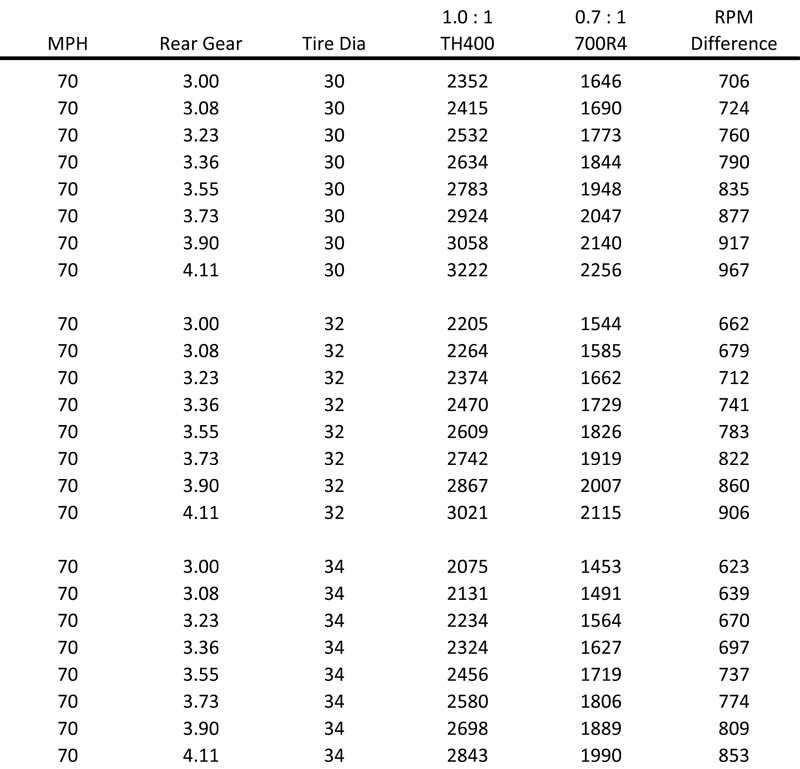 As you see here as your gear ratio drops you don't make as much torque. Which is why your car doesn't pull as hard in 2nd as it does in 1st, and so on all the way through the gear box. Now for some real fun. These numbers are to our theoretical drive shaft. Now lets take into account the optional differential gear. And put in 20% drivetrain losses. For ease i'll use the numbers from above with a diff. gear of 3.9:1. Now if you didn't know before this is what you are really seeing at the rear wheels. Now the next time your friends ask what your making at the rear wheels, tell them the real number. For reference your dyno plot to the wheels already has the drive train loss in so use the same equation but without the drive train loss on the end. So you would be at 4333.33 RPM after the shift. Pretty easy stuff. Start at your red line and go down 1200 rpm in 200 rpm intervals, charting your rpm start and drop, and your torque start and drop side by side. Along with the drop in torque from the shift. which you lose the least amount of torque during the shift without losing to much forward momentum before the shift. I do this by comparing the torque diffrence before the shift( Which goes with your forward momentum) and the torque diffrence after the shift.On this particular setup I think he should shift right around 7000-7100 RPM, if he had the gearing I used here. While there are less torque losses after the shift above this rpm, you have to much torque drop off before the shift, which causes a loss of the forward momentum you were building. Once you find what you think is the optimal shift point vary it up and down about 400 RPM to find what suits you best. Oddly enough most drag racers have a rule of thumb that the best shift point is 10% beyond peak horsepower. 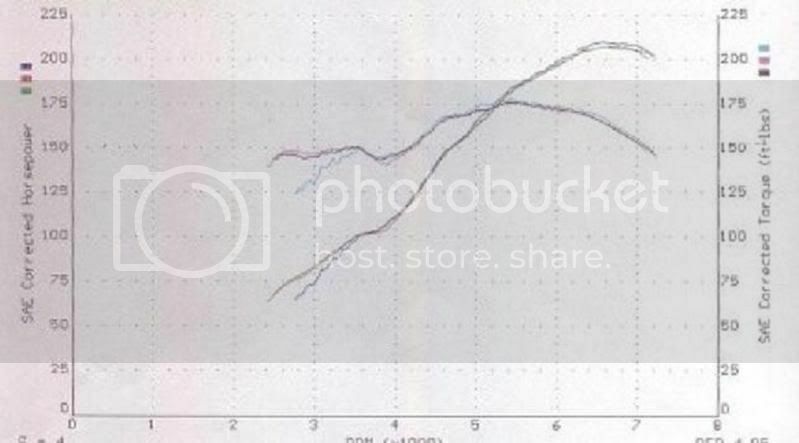 Which if you look at his graph is is right around 7100 RPM. But you should take this as a coincidence and do the math yourself.On his setup he said his redline is 8000 RPM but he needs to shift well before that. What this shows is just because you can rev to 8000 doesn't mean you should shift there. Now take this info and do every gear shift in your setup. 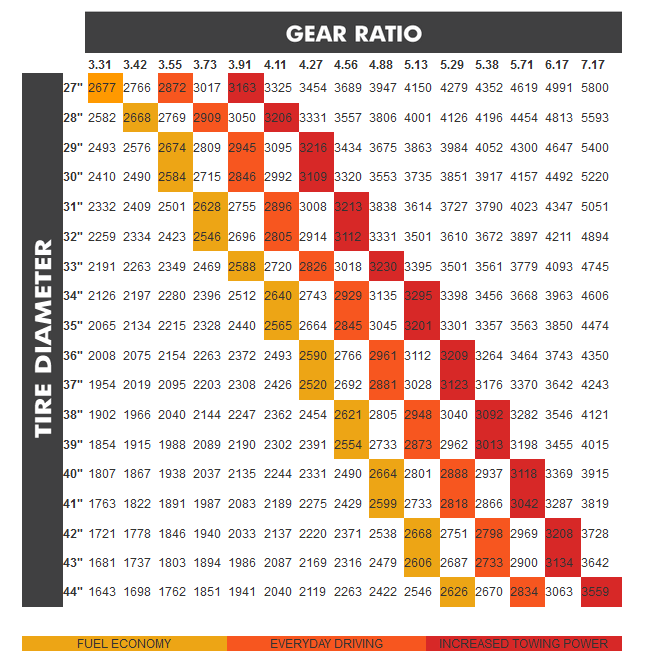 Plus don't forget that since the ratios change from gear to gear the best place to shift in one gear might be different than where to shift in the next. But it should be pretty close. After I did this I found this was went over on someons page but I don't think it elaborated as much, but just for more reading you can find it here http://www.datsuns.com/Tech/whentoshift.htm . I hope it helps some people out. "how do you figure out the gear ratio of a ring and pinion set if its not stamped with the ratio"
you find the ratio,by counting the pinion and ring gear teeth and divide the pinion count into the ring gear count? the PROBLEM with that approach is NOT the traction, or lack of it in most cases,but the fact that your engine spends very little time in the engines most effective section of the torque curve , theres not much sense in building a killer combo with a cam and heads that flow impressive numbers and allow impressive hp in the 5000rpm-6500-7000rpm if your spending 70% of your time below 5500rpm and the transmission shifts at 5500rpm, due to the rear gearing and transmission shift point. 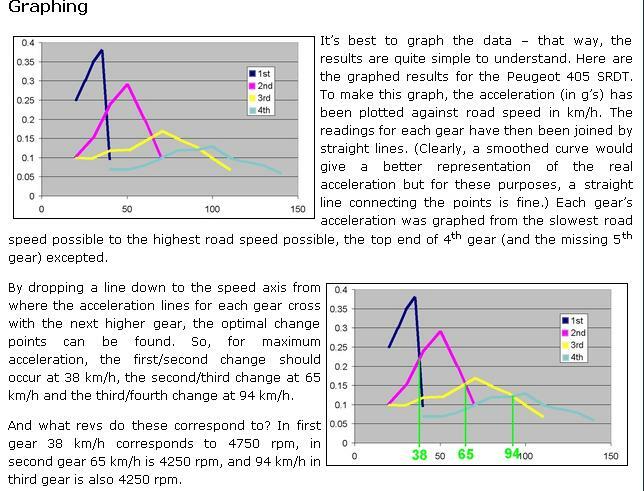 Its rather pointless to have a great deal more hp than you can effectively transfer to the pavement, but gearing the car so you can,t get into the most effective part of the power curve much of the time is hardly the best option. play with the info in the links posted above and youll soon see the distance traveled and mph prevent a car with a 2.57 rear gear from spending the majority of its time in the efficient part of the tq curve. yes your likely to need slicks and suspension mods but the car will be far more effective if your using the full potential of the power curve. yes your going to need slicks and suspension mods to get the necessary traction. quick posi check =put the car up on jack stands then, turn one axle and watch the other axle. If they both spin the same direction, its a posi. if the other axle spins the opposite direction its an open diff. Crusty66 wrote: I’m looking for a stall speed recommendation for my ’66 Caprice. Rear end ratio is 2.73 with 26” tall tires. Maximum speed limit is 60mph in my country, trans guy supplied me with a 2,200 rpm stall speed converter which I think is too high & probably unnecessary with the torque this 496 should have. I think you have the wrong Idea about how a 2200 rpm stall speed converter WORKS, that 2200 rpm stall speed seems about ideal to me,for the combo you list in the car you list above, and Ive built dozens of similar 454-496 engines. many guys who have never had a different aftermarket stall speed converter are under the mistaken idea that the car won,t move until the engine rpms reach , the rated stall speed such as the 2200rpm,you mentioned, that ideas incorrect! 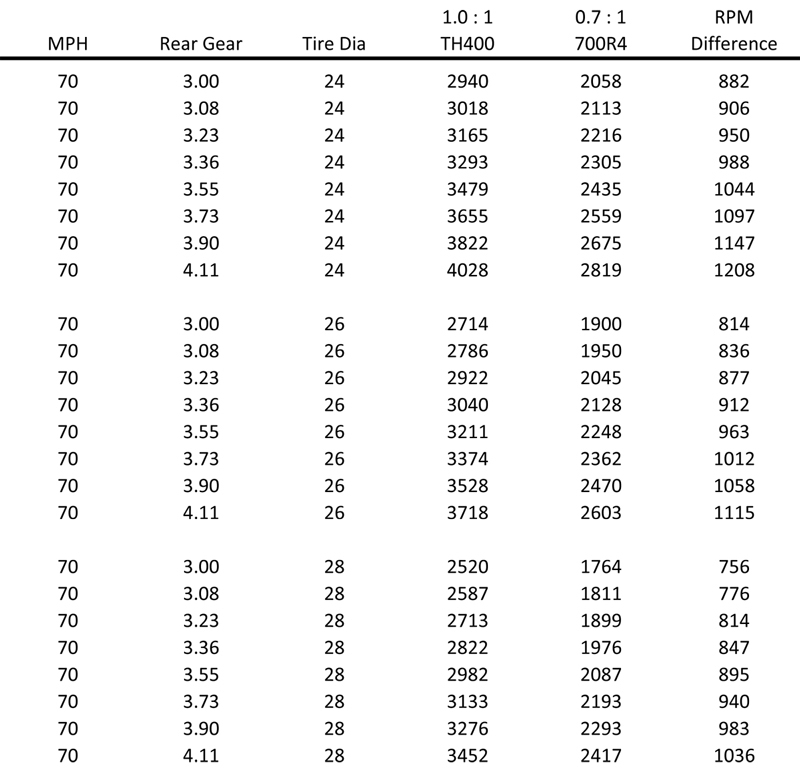 I do understand torque converter operation, my only concern was that the stall speed was very close to cruising rpm where the usual cruising speed is 55-60 mph with the very tall 2.73 ratio. I know I might be better off with moving to a 3.08, but I'm running short on funds right now. I know that "SHORT ON FUNDS DEAL ALL TOO WELL"